If you’re the type of driver who puts performance first—the kind who gets excited when you hear about the low CoG of a boxer engine and the on-edge performance of symmetrical AWD—the WRX STi would fit perfectly in your garage. As long as that’s all you’re concerned with. Sure, the STi has the looks to make the grade, but it still falls short on a couple of really key points. Namely: the interior. Specifically, Subaru has been criticized year after year for the overwhelming collection of hard plastics seemingly mined from automotive yesteryear. The same can be said of the sound systems available here. You’re paying a premium price—you should get a premium stereo, or at least options beyond adding a couple of subwoofers to the tune of nearly $1,000. The optional navigation system is another headache not even worth discussing, let alone buying. And if you manage to get beyond that (not an easy task when the majority of your time with the car will be spent staring at the interior and dealing with that stereo), you’re confronted with the fuel economy: 17 mpg city/23 highway. That wasn’t even impressive back when the STi debuted, and it hasn’t gotten any more impressive in the years hence. That’s not to say this is a bad car. Anyone who makes that claim is incorrect and a fool. That's right, an incorrect fool. It’s just that we’ve come to expect more from even base models, let alone a premium product like the STi. But that’s enough focusing on the negative. It’s time to talk about what the STi does deliver. First, let’s talk numbers. With 305 horses and 290 lb-ft of torque from its turbocharged 2.5-liter, the STi will get you to 60 mph in an estimated 4.7 seconds. Of course, with its single turbo and the lag that always comes with such a setup, it takes a stout heart and a steady foot to clock that time. We’re talking 6,000-rpm launches here, so be prepared. You also get 4-wheel Brembos with 4-piston calipers up front and 2-piston jobs in the rear, as well as 2 differentials (one mechanical and one electronic) with 6 settings, 3 performance modes, a 6-speed manual transmission and a 41:59 front/rear default torque split. But again, performance isn’t everything. How about 6 standard airbags and 44 cubic feet of storage space? That last number needs the hatchback with the rear seats folded to be achieved, but even the boring-old sedan can serve up 11.3 cubic feet of trunk space. Seats are wrapped in leather and faux suede, and the fronts are heated. You’ll also enjoy automatic climate control, standard fog lights and those iconic 18-inch BBS alloys. Again, the positives of this car far outweigh the negatives. It’s just that the negatives mean the STi no longer holds the impressive lead it once did over its competitors. To add injury to insult, Subaru is tacking some more money onto the purchase price, just a year before a new model is due to arrive. Seems a poor way to inspire those final sales numbers. 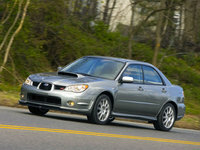 But then, the WRX has never really had trouble motivating, on the road or out of showrooms. 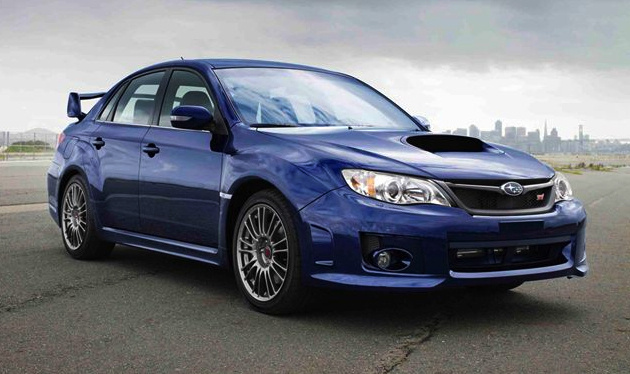 What's your take on the 2014 Subaru Impreza WRX STI? 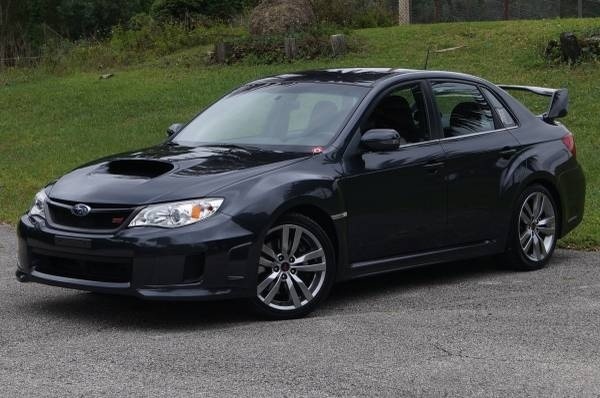 Have you driven a 2014 Subaru Impreza WRX STI? How Does Car Gurus Come Up With Their Market Pricing?